I present to you the latest creation the Phat Dog. 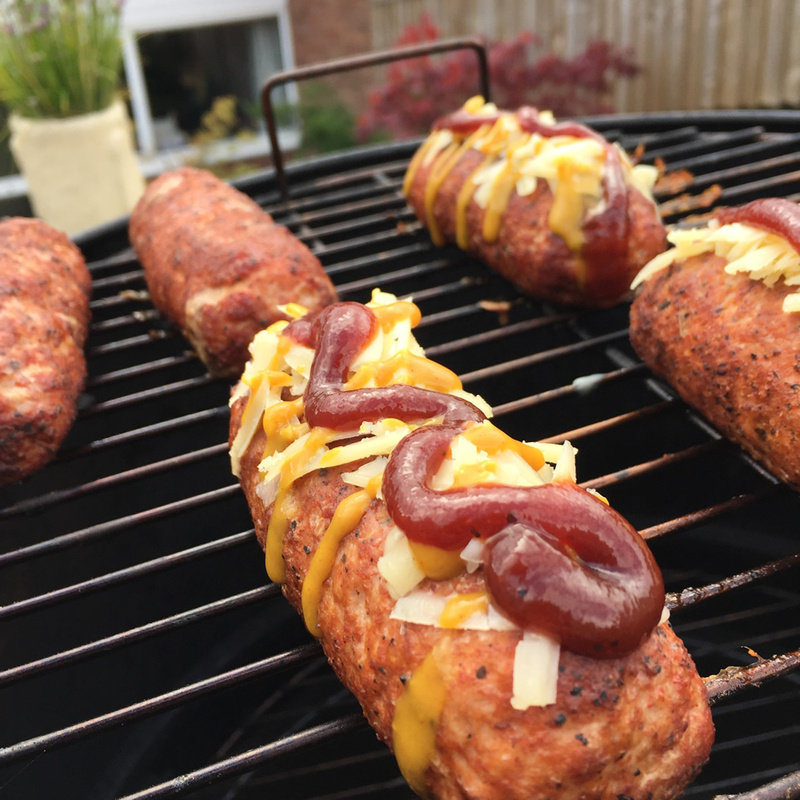 The fatty craze took the BBQ world by storm and here is a cool way to make a fatty style beast but in a hand size portion and best of all in fits in your hotdog bun! 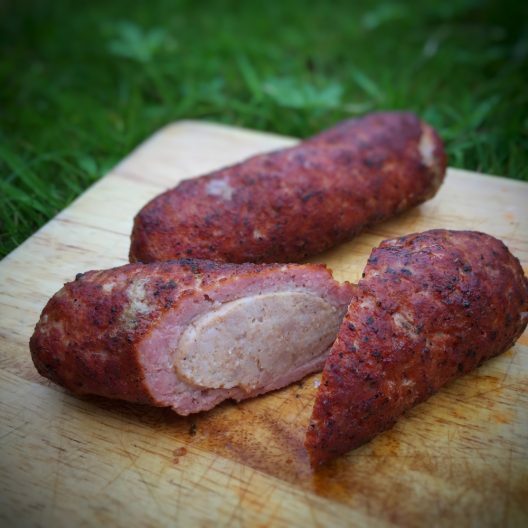 You can choose any of your favourite sausages and mince to combine and have fun with. My one in this recipe was an attempt and trying to not be too much of a fatty by using a leaner chicken sausage from debbie&andrew’s as the centre piece. I also got to try out the new Miss Piggy’s & Angus Oink Co Lab Rub! Mix together the pork mince and egg. Divide the mince into 6 equal portions. Flatten the 6 portions of mince until they are just above 1/2cm thick. Place a sausage onto the mince and wrap the mince around the sausage, rolling the completed Phat Dog up and down your board to ensure it is evenly spread all the way around. Sprinkle your rub all over the Phat Dogs. Setup your BBQ for indirect cooking at around 275F and add some smoking wood, I used Apple Wood from Smokewood Shack on the ProQ. Smoke until the centre of your meat is at 165F. Sprinkle with some grated cheese and glaze with your favourite BBQ sauce. EAT! Damn that dog is phat!